TEMECULA, Calif. – January 6, 2014 – Expanding upon their existing relationship, Outdoor Channel, America’s Leader In Outdoor TV, today announced that it has entered into a multi-year talent and endorsement agreement with rocker and outdoorsman Ted Nugent. 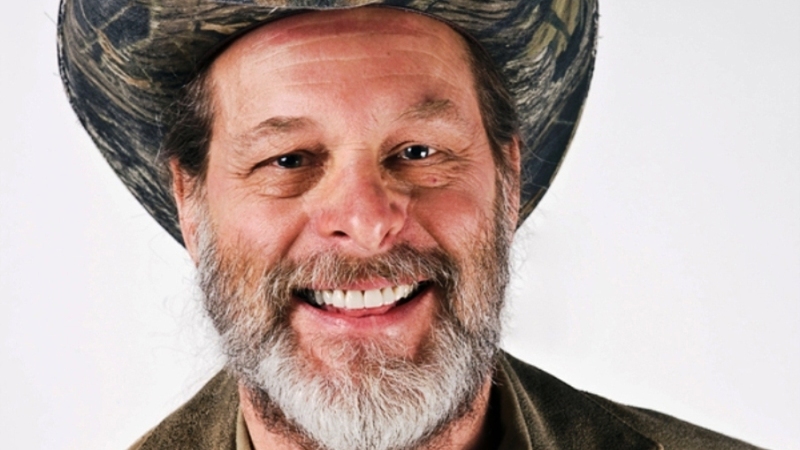 Under the terms of the exclusive agreement, Nugent will endorse the network and its outdoor lifestyle programming through traditional, digital and social media promotional initiatives, in addition to making talent appearances on the network’s behalf at top consumer and industry trade events. The agreement reflects Outdoor Channel’s ongoing commitment to invest in the most captivating talent within the outdoor category. The network will also provide marketing support to Nugent as it relates to hisOutdoor Channel TV series, “Ted Nugent Spirit of the Wild,” and a brand new weekly podcast expected to launch in the first quarter of 2014. Moreover, Nugent is slated to make an appearance this month in Las Vegas at the National ShootingSports Foundation’s (NSSF) annual Shooting, Hunting, and Outdoor Trade Show (SHOT Show) and Conference, of which Outdoor Channel is a pinnacle sponsor. And he will attend the National Rifle Association’s (NRA) Great American Outdoor Show in Harrisburg, Pennsylvania in February, where Outdoor Channel will serve as a presenting sponsor of the inaugural event. “I am proud to be the Ambassador for Outdoor Channel as we continue to celebrate and promote the time honored hands-on conservation lifestyle that has produced the most successful, healthy, thriving wildlifemanagement model in the history of mankind,” stated Nugent. Ted Nugent is dedicated to preserving America’s great outdoor heritage for future generations and, along with his wife Shemane, hosts “Ted Nugent Spirit of the Wild” on Outdoor Channel. The half-hour TV series highlights Nugent’s passion for family, friends and wild game hunting. The recipient of numerous Golden Moose Awards for Fan Favorite TV Host, Nugent has been named thetop Hunting Personality by the readers of Outdoors Magazine. He was inducted into the NationalBowhunters Hall of Fame – a pinnacle of recognition for Nugent as a bona fide Bowhunting Legend of the 21st Century, a skilled outdoorsman, and a tireless promoter of the sport of bowhunting. When he’s not outdoors, Nugent is the author of books, such as New York Times Best Seller “Ted, White, and Blue: The Nugent Manifesto” (Regnery Publishing) and “God, Guns & Rock ‘N’ Roll” (Regnery Publishing). As a rock ‘n’ roll musician, he has sold more than 40 million records and continues to tour each year. Nugent is considered the nation’s most outspoken proponent of America’s First and Second Amendment rights, conducting thousands of pro-America, pro-freedom and pro-gun discussions with thought leaders Outdoor Channel Ted Nugent release and members of the media around the world. The lifelong outdoorsman has been recognized for his Ted Nugent Kamp for Kids, as well as his Freedom’s Angels Foundation benefitting U.S. troops. The Michigan native serves on the Board of Directors of the NRA, a position he’s held since his initial election in 1995. Taking viewers across America and around the world on unparalleled adventures since 1993, OutdoorChannel is America’s Leader In Outdoor TV. Dedicated to the outdoor lifestyle and conservation, theindependent cable network is a division of Kroenke Sports & Entertainment, LLC and provides a completespectrum of riveting hunting, fishing, shooting and adventure entertainment. Outdoor Channel is receivedby 39.1 million U.S. households – the largest outdoor TV footprint in the country – and is available in more than 50 countries internationally. Outdoor Channel can be viewed in HD and is accessible bybroadband and mobile platforms. For program times and other information, visit www.outdoorchannel.com. Follow us on Twitter and on Facebook.